When polling day finally arrives the limelight which has shone throughout the preceding weeks on the party leaders and the national campaigns of the parties swings decisively back to the constituencies. In a general election, the morning papers carry final appeals to vote for one or other of the parties, but otherwise an uneasy quiet descends upon the national scene. The final shots have been fired on radio and television, the party headquarters have done their best or their worst, all now depends on the voter. 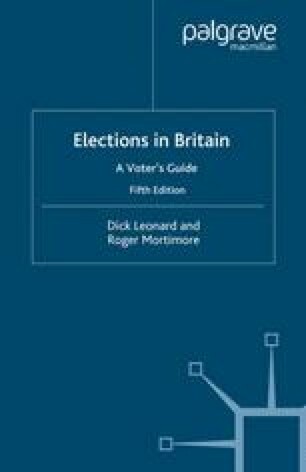 In by-elections, local elections and European elections, the procedure is much the same, though the media coverage will usually be less comprehensive, and fewer electors will turn out to vote.